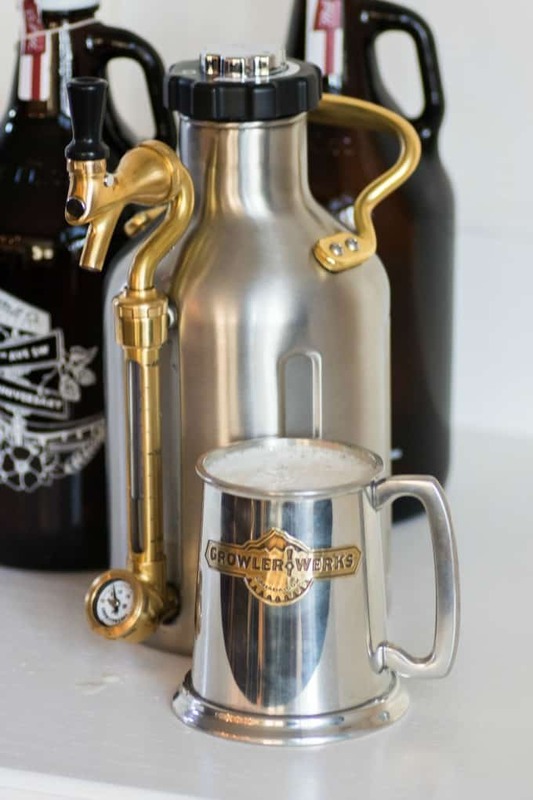 The uKeg by GrowlerWerks keeps your craft beer fresh for 2 weeks! Want to see the latest and greatest for beers? Today I have for you The uKeg by GrowlerWerks. 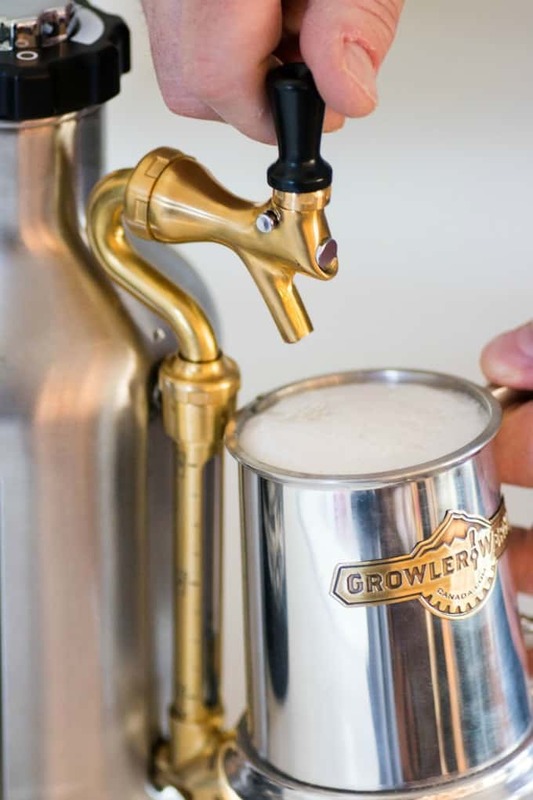 This inventive little keg is just perfect when you take home a growler from your local brewery. This is something that we have done many times from our local brewpub Mill St. Brewery. The only disadvantage and you can argue this, is that you have to drink the growler quickly or it goes flat! 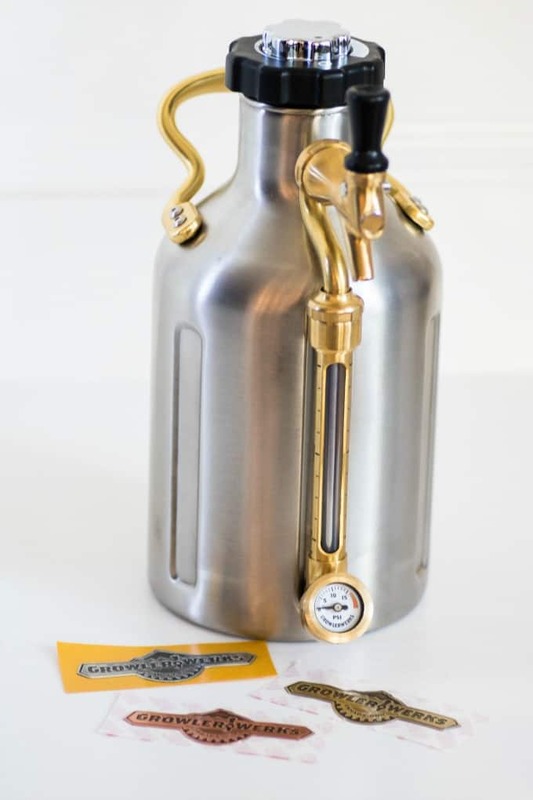 Now with The uKeg by GrowlerWerks you can add your craft beer and it will keep fresh and bubbly for 2 weeks or more. That is now very doable. For me I like a beer but maybe only one. I also love to try new ones but don’t want the commitment of a case. 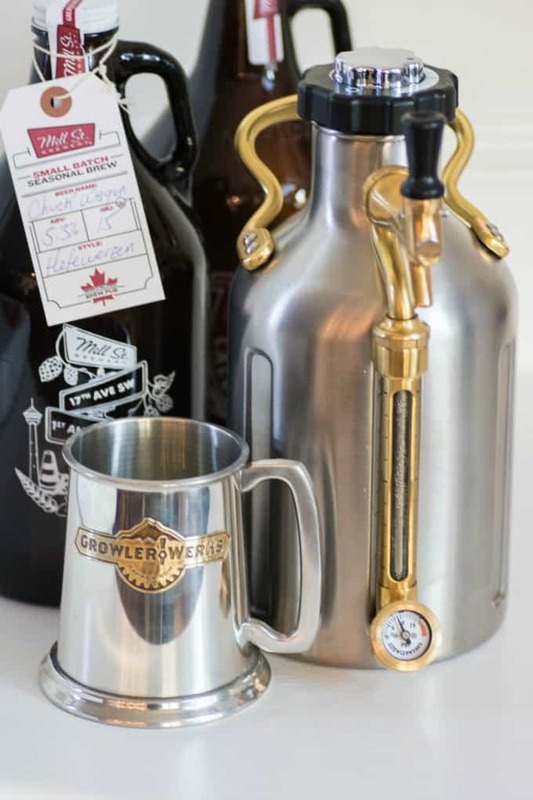 Growlers are a great way to try different beers and they are refillable too. You could take your uKeg in also and get it filled! The uKeg is extremely easy to use. You just need food-grade C02 cartridges which they also supply. Nothing like a cold, frosty beer from right out of your fridge! The uKeg is available in both gallon and half-gallon sizes. Your friends will be fully impressed by this new toy and it is a must for beer lovers young and old! I know that Ken here was thrilled to be taking this Ukeg for a test run! They also gave us these great little add-ons for mugs and glasses to make the experience even more fun!! Next up is a great little video showing us pouring a fresh cold beer, aaaaaaahhhhh! This would make the best gift for the beer enthusiast or dad for Father’s Day! If they are lovers of craft beer or just starting to delve into some local brew pubs this gift will be greatly appreciated. 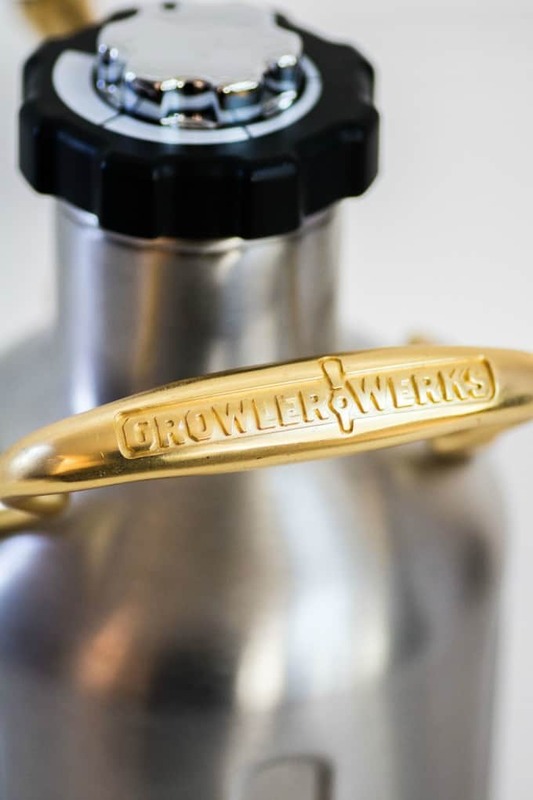 GrowlerWerks created a pressurized growler that keeps oxygen away from beer, maintaining perfect carbonation from the first to last pour. They also did this in the handsomest of containers, one that you will be proud to have on your bar for when friends’ and family come to visit! It is also fixed with an easy carry handle to take to take with you! 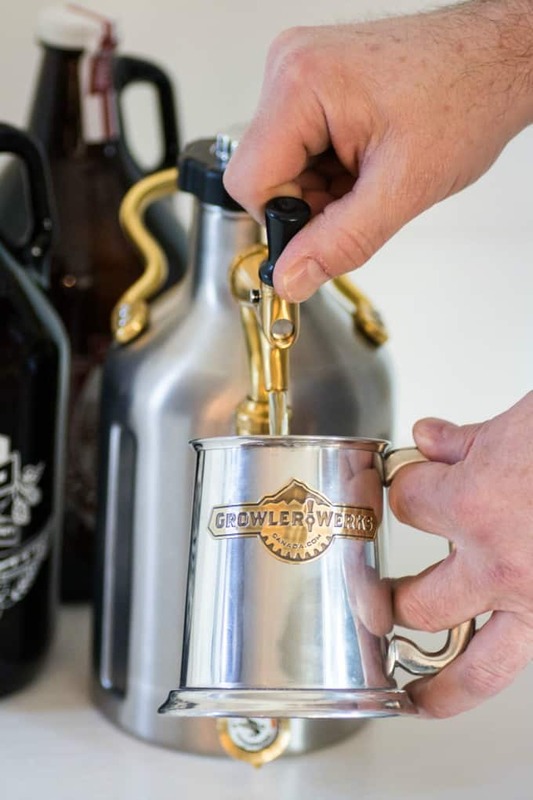 Come and follow along with GrowlerWerks for the latest and greatest on Twitter, Facebook and Instagram. My brother is a huge beer lover and his birthday is coming up. He would love this. My husband saw this and fell in love fresh draft beer is his favorite. I will get this for him for Father’s Day or his birthday. My husband would love this! Just the look of it alone makes it a perfect addition for him. That’s a great idea to have the cartridges. I’ve only seen glass or plastic ones. It’s awesome to keep it fresh for two weeks. You have no idea how much my husband would love this! I can see how well-made it is too. Perhaps for his birthday?! I’m not a beer drinker, but know people who are. I think they would love this. I’m not much of a drinker, but this is really neat. I would actually really like to have one of these. I’m sure my husband would be using it. Wow I had no idea that something like this even existed, I don’t drink a whole lot but I am definitely sharing this with my neighbors. This looks really cool! Would be a great gift too!